Just a reminder that I am now on holiday so anyone purchasing templates from my website will not receive them until I return home on Saturday 14th December. 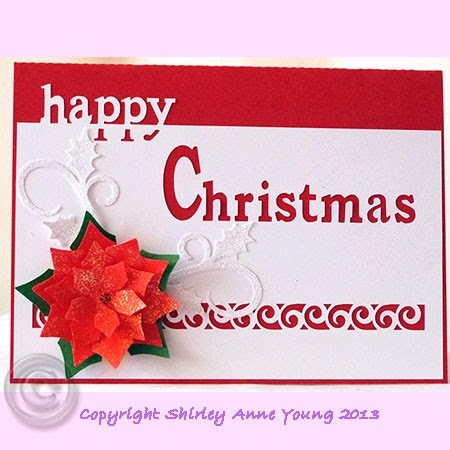 This is a really quick card to make for any last minute Christmas Cards. I have finished all mine thank goodness and they are written and ready to post. I am going away on holiday next week so my website will be closed for sales from Wednesday 4th December until Saturday 14th. 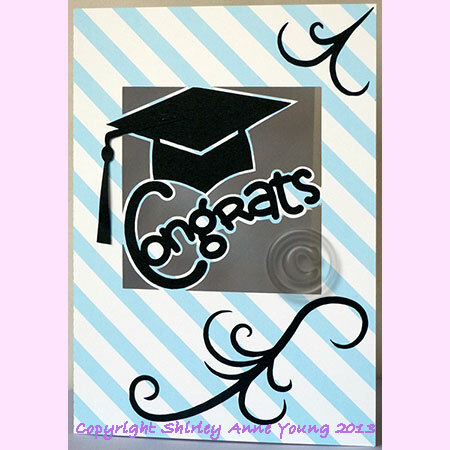 This template is for a Snowglobe shaped card and it's just the basic card so that you can decorate it with your own embellishments, stamps etc. I made the little scene on mine using some digikits and decorated the base with some peel off borders. 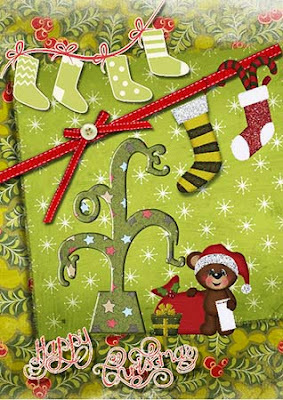 For this card the Christmas word pops out from the top fold of the card while the Wishes word and the diamond pattern are cut out so that the backing paper shows through. 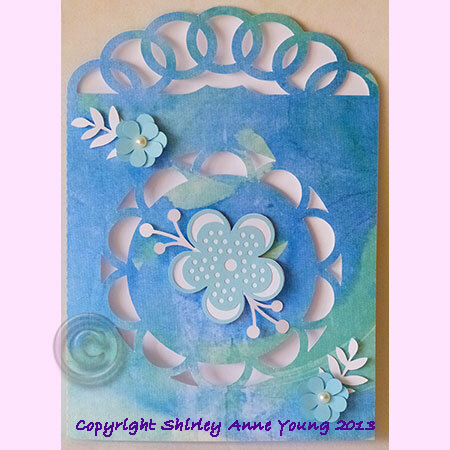 I have seen lots of cards lately with doilies on them so though I would have a go at making a simple one of my own and have used it to make this card along with a few embellishments. Makes a change from doing Christmas cards !! The template is available here on my website. Thanks for looking. 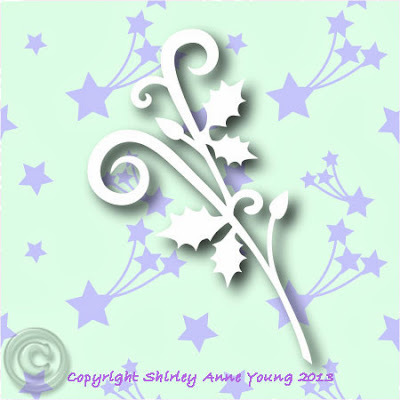 A star topper topper freebie for you. This is a quick card I made using it. 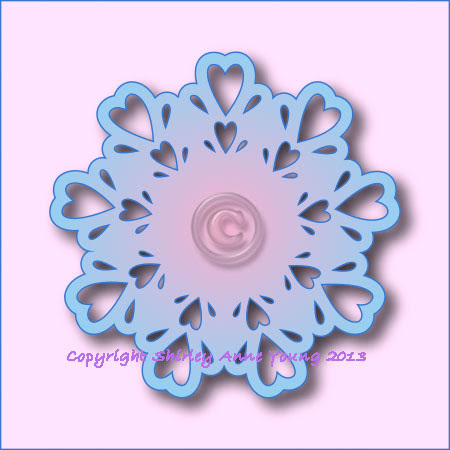 The images are from my Craft Artist program. 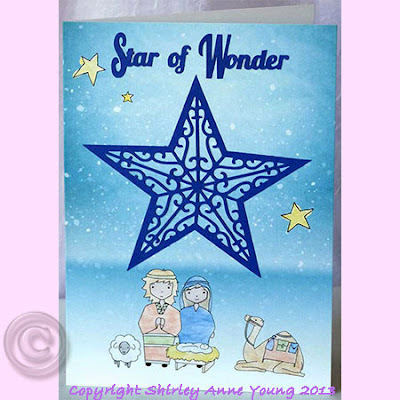 I used 160 gsm card for the star and words and as you can see it cut fine. Would love to see your comment if you download the file. This is another Christmas Card that I finished yesterday - as you can probably guess I'm a cat lover although my own little cat has had to have a visit to the vet as he is a bit under the weather at the moment. It's been a while since I did a freebie so I hope this topper will come in handy for your Christmas cards. Here is a card I made with a Craft Artist digikit with the topper stuck on top. Hope you will leave a comment for rme if you like the file and download it. 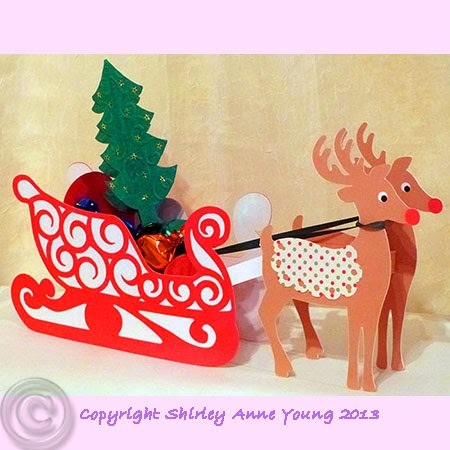 This 3D Sleigh is a project I did for the Silhouette Design Team and it was shown on Create & Craft TV a couple of weeks ago. It measures 28cms long x 14cms high x 6cms deep when assembled. I shall be filling mine with sweeties for Christmas !! The file is available on my website and comes with assembly instructions. For Cameo/Portrait owners the gsd/studio file contains an optional print and cut file for the Reindeer. A happy snowman card that I've designed today. I put some glitter on his hat and used stick on gems for the buttons. Hope he makes you smile. Another easy make card. I've even resited putting glitter on this but I will probably add some later !! Many thanks to those who have left comments on the Star Tree card - I really appreciate them. The template is available here and the backing paper is included. 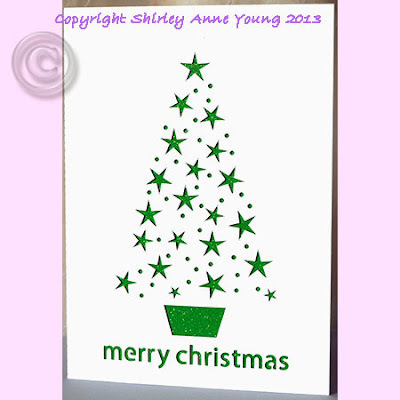 I have to make quite a lot of Christmas cards and this is one that I shall be sending to quite a few people as it it quick and easy to make. I put glitter card behind the tree and it looks quite effective. Hope you will find it useful. If you like the file and download it please let me know by leaving a comment. Another 2 Christmas cards - used lots of glitter on these and it seems to be everywhere in the house as I can see little sparkles on every floor !! 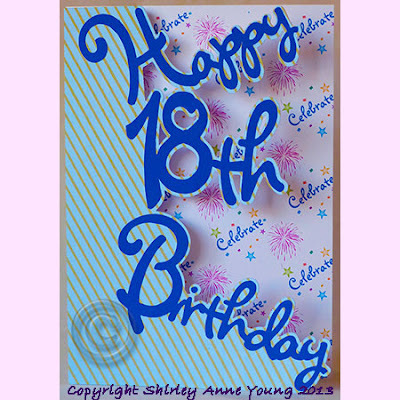 Templates available here on my website - thanks for looking. 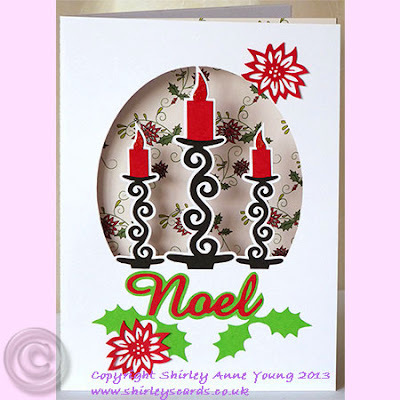 My first Christmas designs of the year - hope you like them. A few more in the pipeline too, I think my mojo might be coming back !! Used quite a lot of glitter on these but it doesn't show up too well in the photos. Hi everyone, been really busy lately so my blog has been neglected a bit. 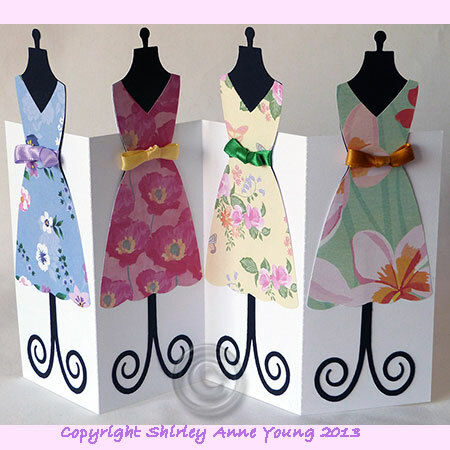 If anyone is interested in what I have been doing for the Silhouette UK Design Team you can see some photos here of what we have all been up to.The team consists of me, Dot, Maggie, Maria and Debbie along with Karine from Graphtec GB who is our lovely leader. 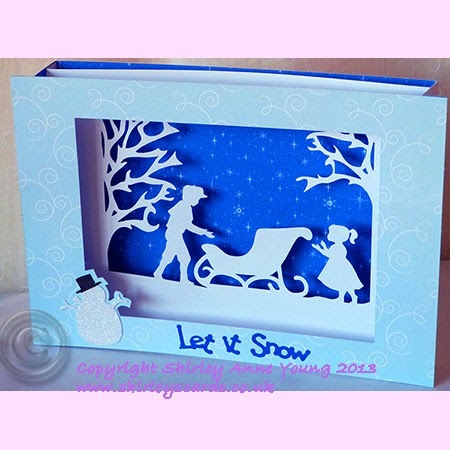 The projects we made had Wedding and Baby themes and the Silhouette products we used were Sketch Pens, Kraft card, Printable Canvas and Chipboard along with some of the tools available in the Designer Edition of the Silhouette software such as the fancy edge knife tools, sketch designs and rhinestones . Anyway I decided it's time to start doing some stuff for Christmas and thought I would share this Holly Flourish with you. I would love you to leave a comment if you download the file. No posts for ages then 2 in one day. 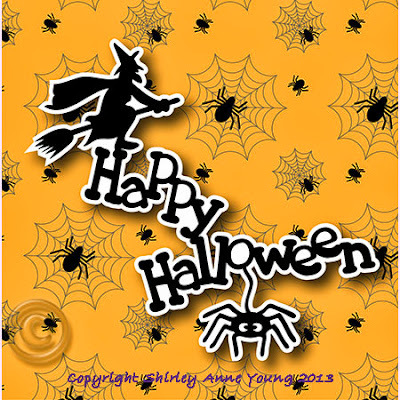 Hope this little Halloween topper might be useful to you and if you use it perhaps you could leave me a little comment..
Hi everyone and welcome to my new followers. I know it's ages since I posted anything but I have been really busy since I got back from my holidays. I don't normally make cards to sell but a neighbour asked me to make an exception and do some Wedding Invitations which were needed at short notice so I have had to concentrate on those plus doing some stuff for the Silhouette Design Team. Anyway this is an Easel Card I have just finished so I though I would show it to you so you know I'm still alive and kicking - hope you like it !! It seems ages since I posted anything but something exciting has happened that has kept me a bit busy. 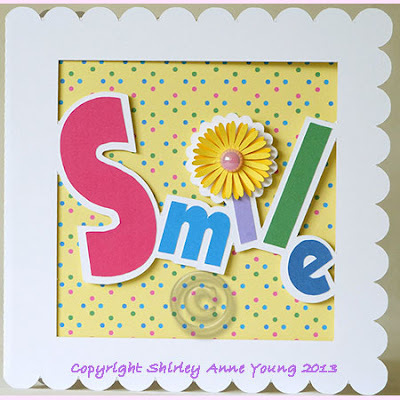 I have been asked to join the Design Team at Silhouette UK so I get the chance to try out new products and make things for their shows on Create & Craft TV - the next one is on 14th September. It's all been a bit of a rush as I'm away on holiday tomorrow for 2 weeks which is why my Blog has been neglected. Anyway I've got my projects done and posted and after my hols I will post some photos of them. 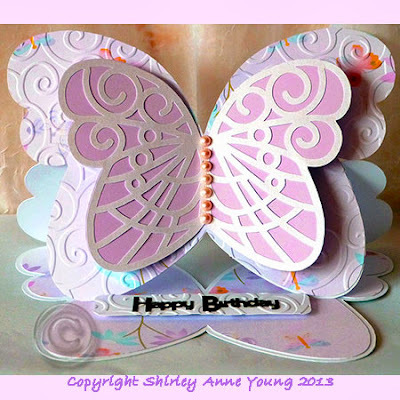 I have managed to do a quick freebie, this one is a pop up for the inside of a card so I hope you like it. I got the idea for this card from a magazine. 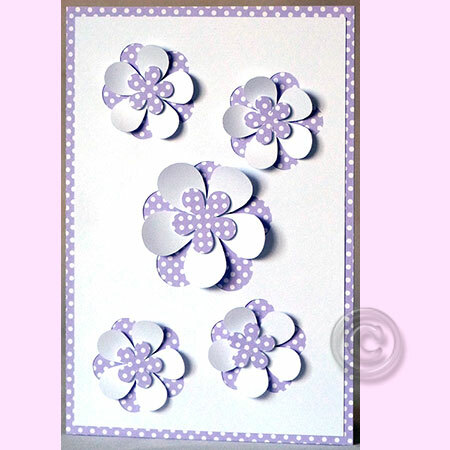 It's a very economical card as it uses the postive and negative parts of the template and is also very quick and easy to put together. If you use this template I would appreciate if you would take a moment to leave me a comment as it makes sharing more worthwhile if I know the templates are useful. Hi everyone and welcome to my new followers. 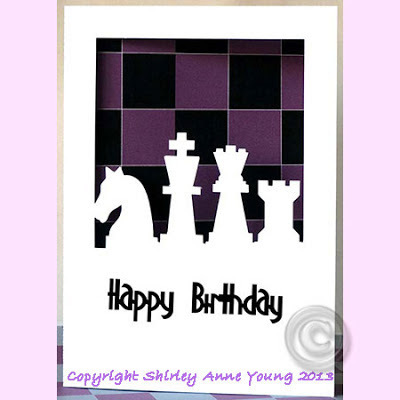 Here are a couple of cards that I've designed this week. 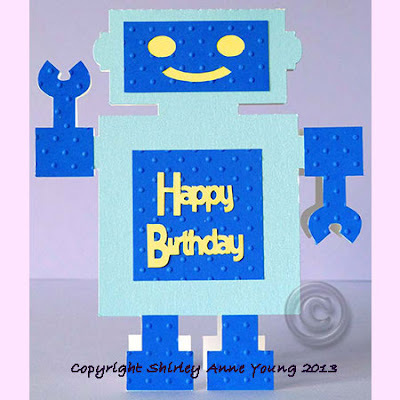 The templates can be found on my website and the Robot one is also available as a jpeg for cutting by hand. Here's another freebie file for you . Hope you like it and have a nice weekend. Thought I would try and do a card with a different shape for a change and this is what I came up with. First of all I'd like to say a big thank you to those who left comments for me recently - It's lovely to see so many and I really do appreciate every one. 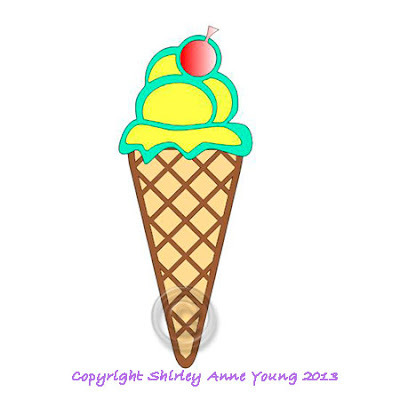 Seeing as the weather is so hot here in the UK I thought this ice cream cone might be appropriate. Hope you like it. 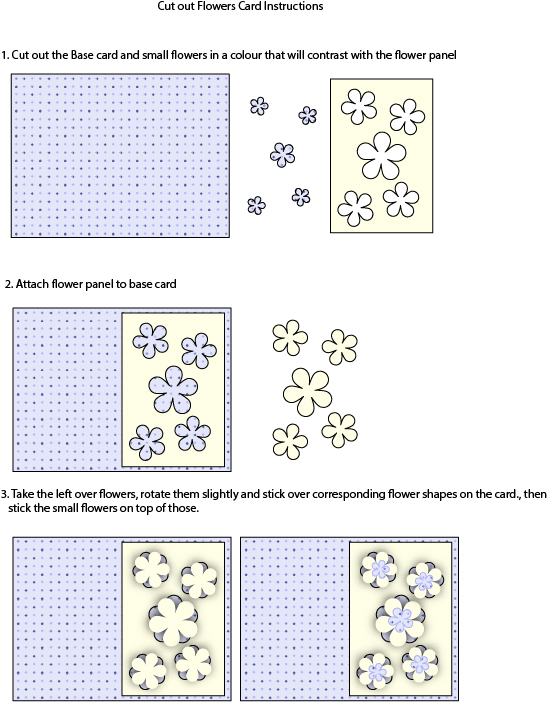 For Cameo/Portrait users you can either do it as paper piecing or fill the shapes with colour and do it as a print and cut. 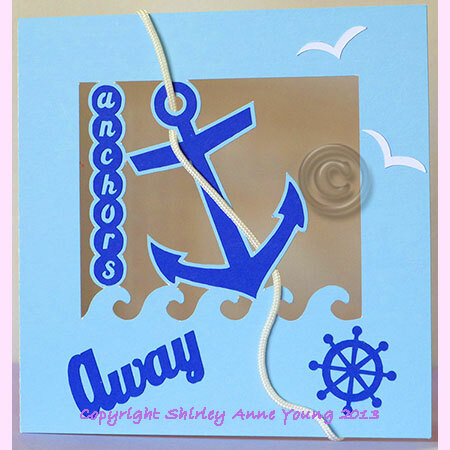 I did promise another freebie file this week but the beautiful weather we have been having has distracted me - much too nice to be indoors !! Anyway I hope you like this card. It looked a little plain with just the label embellishment so I decided to do a separate panel for the front which I could emboss and I'm quite pleased with the result. Hope you like it. Got a new version of Adobe Illustrator last week so I have spent a few days getting used to all the new functions and made this little doily while I was playing around. Hope it's of some use. For those of you who use RSS feeders Bloglovin is an alternative now that Google Reader is no longer available. Seems ages since I made a card but this was a special request. I used one of my embossing folders for the dress to give it a bit of texture. This week's freebie features a border edge. I decided to do white on white with a coloured insert to show through the border. 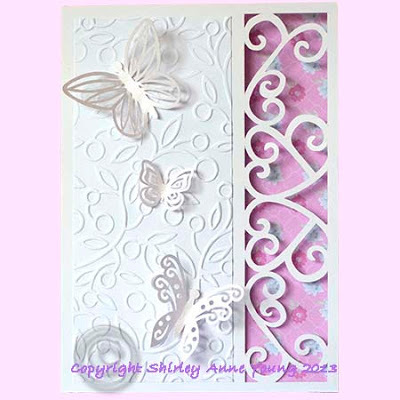 I used one of my embossing folders to make a panel for the front then decorated with some butterflies from my stash. Hope you like it and will find a use for it. A quick update on my kitchen, all the building work and decorating is finished now so tomorrow they start installing the new kitchen - can't wait !! Got the basic idea for these cards from a craft magazine. Very quick and easy to put together but I think they look quite bright and cheerful. A very quick freebie this week but I hope you will find it useful as banners seem quite popular at the moment. I anticipated being able to spend a lot of time crafting this week while work is being done on our new kitchen but it's not quite worked out that way as they are doing a lot of rewiring which means they have to keep turning the power off so I can't use my PC or Cameo. I have tried using my laptop to do some new designs but i find the screen is just not big enough and it gives me eye strain - I guess I'm just used to my PC which has a huge screen. A male card suitable for Birthday or Fathers Day. Not had a lot of time for crafting as we are having a new kitchen installed over the next couple of weeks so have had to spend time clearing everything out of the old one. It's amazing how much stuff you find tucked away in cupboards that you haven't used for years. I have been really ruthless and sent loads to one of our local Charity shops. 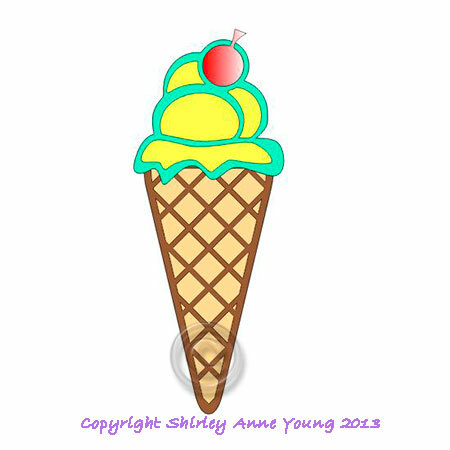 I think I shall be marooned in my Craft Room next week out of the workmen's way so - and I know it's only June - but I might think about starting some Christmas cards !! 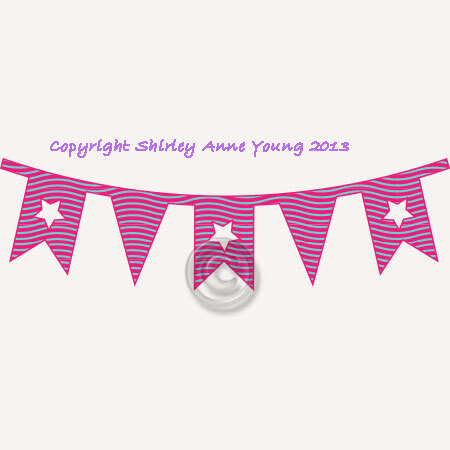 Anyway here is a new design that I did manage to do this week - hope you like it. Hi Everyone - hope you are all looking forward to the weekend. The weather is lovely here at the moment, just hope it lasts for a few days. I made these backing papers some time ago but it just sums up today's lovely weather so I thought I would share them with you. Thanks to all of you who left comments on my previous freebies - I do like to read them. It's so nice to get the feedback and it is much appreciated. 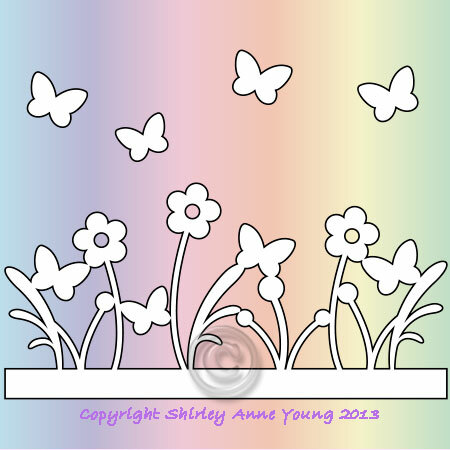 Another freebie border for you. The size measures 4" or just over 10 cms wide but it can easily be resized to make it bigger. 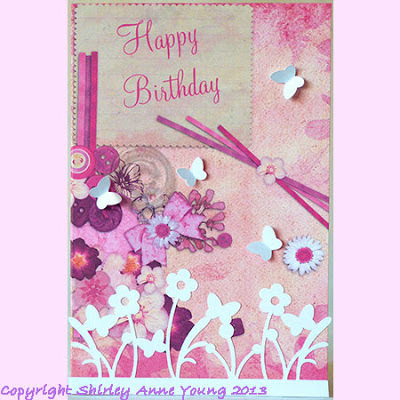 I have used it on this card which I did in Craft Artist using a kit called Mother's Day. If anyone is wondering why there is no studio format to download it's because the terms and conditions of Silhouette America no longer permit this as they own the copyright of the studio format. It's not a problem though as gsd files can be used with Silhouette machines and if you have the Designer Edition of the Studio software then you also have the option of using svg format as well. I would really appreciate you taking a moment to leave a comment if you download the file. Hi everyone and welcome to my new followers. Arrived back from holiday on Friday and although the weather could have been warmer we still had a lovely time in Northumberland. There are some really beautiful unspoilt beaches up there and although it wasn't warm enough for sunbathing we had some lovely walks. Visited lots of National Trust and English Heritage places so the days really flew by. 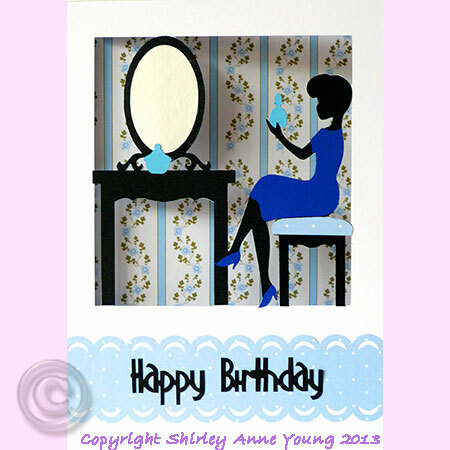 I had the day to myself today and these are the new templates I have designed. Hope you like them.